The new inductive range for explosion-protected areas from Balluff is approved for all Ex zones and features reliable object detection and positioning in explosion hazard dust and gas atmospheres. These sensor families are available in M12, M18 and M30 housings, including full-metal versions for especially harsh environments and for high-temperature requirements. 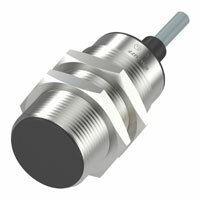 Their inductive switching principle guarantees non-contact and wear-free switching. This applies to both the compact devices as well as the intrinsically save devices, which of course include a variety of compatible accessories. Good to know: thanks to the uniform standard connections and cable versions the Ex sensors are easy to install.